Almost all glazes contain clay (e.g. kaolin, ball clay, bentonite, native clays). Clay is employed to supply Al2O3 to the chemistry, to suspend the slurry and to harden the dry glaze. Clays shrink as they dry, thus glazes containing clay will also shrink. Some shrinkage can be tolerated, but if there is too much the glaze will form cracks. This can be serious enough to even appear like a dried up lake-bed. If ware to which this has happened is fired, the glaze will likely craw into islands as it melts. To fix this problem, kaolins or ball clays of similar chemistry but having a lower shrinkage can be employed. 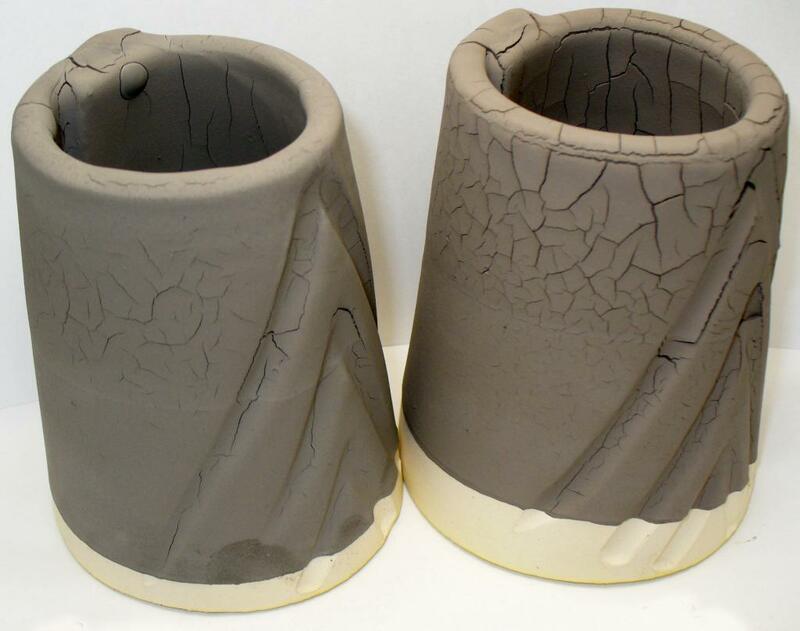 If a kaolin is being substituted for a ball clay, some changes in the way the glaze fires can be expected since these materials, although both clays, have different chemistry. Of course, glaze chemistry can be used to supply some of the Al2O3 and SiO2 from other materials in the recipe, in this way the chemistry of the recipe stays the same but the shrinkage of the drying slurry is reduced.